PowerZite AB does not include any agreement with you under the age of 18 years. the order is processed. Until full payment has been made, all goods are PowerZite AB's property. PowerZite AB reserves the right to incorrect pricing. The consumer is fully entitled to regret his purchase within 14 days of receipt of his / her products. Contact PowerZite via email : mail@powerzite.se . Exemption for right of withdrawal refers to a product that may deteriorate or become too old in the short term. The exception also refers to a product where the consumer broke the packaging and can not return it because of health and hygiene reasons. For example, clothing, exercise equipment such as knee protection, bench press shirts and singlets used in physical activity can not be returned. A purchase of nutrition supplements where the consumer broke the packaging can not be refunded. Other products should be fresh and not used in order for the purchase to be refunded. If the customer is in compliance with a right of withdrawal, the customer will be responsible for the return shipment to PowerZite AB and held a reimbursement as soon as the product are reyurned and approved. PowerZite AB is therefore entitled to deny the refund of broken packages where the product is not in a marketable condition. Other products should be fresh and not used in order for the purchase to be undone. 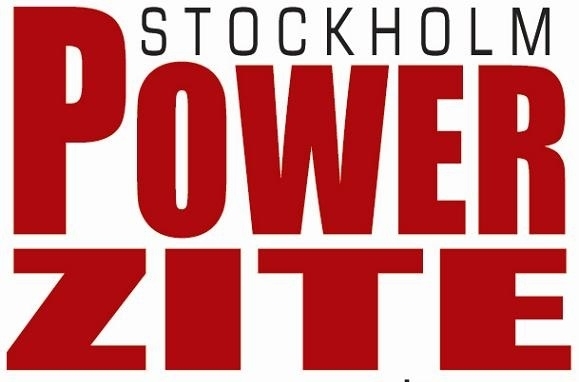 Contact PowerZite via E-mail: mail@powerzite.se . VWhen returning purchased goods from PowerZite AB, only the product still fresh and has not been used can be replaced. No return or replacement of nutrition supplements. Upon replacement of purchased goods, the customer is responsible for return costs and the product is returned to PowerZite AB. Consumers should have stated the wish to change the item within 14 days of receipt of the goods. NOTE: Make sure to note the Order number when you do a return. The consumer has the right to reclaim the product for damage reason, however, the damage must be reported to PowerZite AB as soon as it was discovered, here should be 30 days a reasonable amount of time. It is your responsibility to check the goods upon receipt to detect any damage to the packaging or the product and if this occurs, contact the carrier. If you notice any damage to your product without damage to the packaging, contact PowerZite AB as per the address below for complaint. PowerZite AB stands for any costs of returning the item. In case of dispute, PowerZite AB will follow ARN. Normal wear and tear is not a reason for complaint. Personal contest equipment can not be reclaimed due to wear, only for manufacturing defects. The consumer is entitled to recover his money and undo the purchase within 14 days of the conclusion of the purchase agreement. This goes for new and unused products with theexception for nutrition supplements. Any return costs for the product for which the refund is due, the consumer is responsible for. The purchase price paid by the consumer shall be paid in the same way as payment has been made. Forgotten parcels will automatically return to us. We reserve the right to charge you a shipping fee of SEK 199 + administration fee of SEK 99 per package for such consignment. PowerZite AB has the policy to ship out to the specified address within 1-3 business days of receipt of the order. If an item is not in stock, the customer will be informed before any delivery. Shipping cost: 77.34 DKK up to 5 kg not bulky. For weights over 5 kg or bulky, PowerZite will contact you with details of the shipping cost. You will not commit to purchase until you have approved the shipping cost. PowerZite AB has the policy to ship out to the specified address within 1-3 business days of receipt of the order. If an item is not in stock, the customer will be informed before any delivery. Shipping cost: 10 Euro up to 5 kg not bulky. For weights over 5 kg or bulky, PowerZite will contact you with details of the shipping cost. You will not commit to purchase until you have approved the shipping cost. PowerZite AB has the policy to ship out to the specified address within 1-3 business days of receipt of the order. If an item is not in stock, the customer will be informed before any delivery. Shipping cost: 338.22 NOK up to 5 kg not bulky. For weights over 5 kg or bulky, PowerZite will contact you with information on the shipping cost. You will not commit to purchase until you have approved the shipping cost. Vi hanterar personuppgifter i enlighet med PuL (Personuppgiftslagen). De används uteslutande för att vi som säljare ska kunna fullgöra vårt åtagande att leverera varorna till dig, och för att följa upp kvaliteten på vår tjänst. Vi lämnar aldrig ut sparade uppgifter till någon annan part. Du har enligt PUL rätt att få ta del av vilka uppgifter som finns lagrade. Du har även rätt att begära att uppgifterna rättas om de är felaktiga, eller att de ska tas bort. I alla dessa fall ber vi dig ta kontakt via telefon, mejl eller brev enligt kontaktuppgifterna nedan.